David focuses his practice on QuickBooks consulting, tax preparation and planning for individuals and businesses, compilation and review services and consulting services. His clientele ranges from individuals to corporations in the construction, professional services, retail, real estate, manufacturing industries and non-profits. David joined the firm in 2002 and was admitted as partner in 2018. He was awarded the CPA designation in 2004 and graduated from Ohio University with a Bachelor of Business Administration, Accounting and a Bachelor of Communication, Organizational Communication. David embraces the firm’s commitment to civic service and community involvement. David is a member of the Ohio Society of Certified Public Accountants and the American Institute of Certified Public Accountants. He is also an Assistant Scoutmaster for Baltimore Boy Scouts Troop 187, finance committee member of Pleasantville United Methodist Church, member of the Robert K Fox Family Y and member of the Rushville Union Lion’s Club. 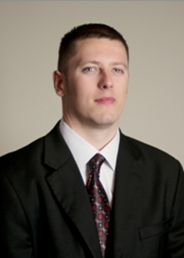 David can be contacted in our Lancaster office at (800) 872-5066 or by email at dspicer@mhrcpa.com.